When it comes to sports clubs, few would disagree that their fan base is crucial to the success of the club. A good example of a strong fan base and an increase in success is Crystal Palace Football Club. Whilst a website is a key tool and the rapid growth of social media is fast becoming a useful way of keeping in touch, without doubt, whether driven through business, leisure or sporting interests, fans respond most to email. But how can email be used to keep fans happy as well as attracting new supporters and improving a club’s commercial position? Taking inspiration from Crystal Palace FC, we’ve picked out 4 techniques that have been tried, tested and proven to build both the fan base and ROI of a sports club. An ongoing pain point for all marketers is the process of creating a single database that can be used to hold names and addresses from all sources. For sports clubs this includes ticketing data, web enquires, information from the league, people who’ve come to an event, brought merchandise, or even sent a text or tweet. With unmeasurable success rates for email marketing and a strategy skewed very heavily in the favour of people who had bought tickets, database cleansing was top of the list of priorities for CPFC. Within a few months, they were able to boast a database of 76,000 active members as well as the ability to effectively target segmented data according to various behaviors. Learn how to turn big data into useful data, download our Fundamentals of Automation worksheet. When building your database, it’s important to test a variety of initiatives to capture email addresses. One particular promotion by Crystal Palace, which dotmailer helped to drive, involved a video of the clubs cheerleaders – The Crystals. This was promoted on YouTube with a competition to generate shares and email addresses, with the winner being given the chance to appear with the girls. Sometimes sending the right message isn’t always enough. Marketers need to consider tailoring the design to fit the tone of the email. Using templates built by dotmailer Crystal Palace have tailored their emails to suit different styles. Their weekly newsletter uses a full HTML functionality with the purpose of driving people to the website. In contrast when they send out emails from the Chief Executive or the Manager, they have seen the best impact from using a plain text format. With 90% of emails now read on mobile it has never been more important for your emails to be multichannel and mobile responsive. The club developed mobile optimization to ensure that every message is perfectly delivered whether on a PC, iPad, iPhone or Blackberry. 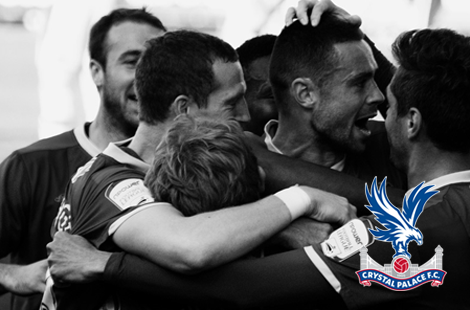 To find out more about how Crystal Palace used email to build their fan-base download their case study.